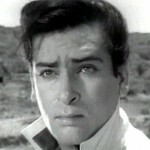 Aditya Raj was accompanied by his sister Kanchan and actors Shabana Azmi, Vinod Khanna, Asha Parekh, Sharmila Tagore, Poonam Dhillon, Amitabh Bachchan and Tina Ambani. “Yes, we have immersed the ashes in the Dal Lake,” Aditya Raj told IANS. Aditya Raj, along with all the actors, left Mumbai for Srinagar for the immersion Friday morning. A household name among the old and middle-aged locals of Kashmir, the late actor’s family and friends could not have thought of a better farewell to the Bollywood veteran. “He loved the Dal Lake and his soul will definitely be solaced as his ashes were immersed in the lake of his dreams,” said shikara owner Zahoor Ahmad, 56, on the lake. Ever since armed violence started here in the early 1990s, it is for the first time that such a galaxy of Bollywood stars has come to the valley. The Oberoi Hotel overlooking the lake has now been taken over by the Lalit Palace Hotel which is celebrating its centenary this year. Shammi would always stay in a particular suite of the hotel and scores of his fans would line up to have a glimpse of their matinee idol each morning during his stay in the valley. “We hope to keep Shammiji’s relationship with Kashmir alive. His friends and family would persuade Bollywood to return to the valley with the same love and attachment as the ‘Junglee’ did all his life,” local travel operator Abdul Hamid said. This entry was posted on Sunday, September 4th, 2011 at 6:04 pm	and is filed under Newspapers, Web. You can follow any responses to this entry through the RSS 2.0 feed. You can leave a response, or trackback from your own site. Nice to know that Shammi saheb’s final wish was granted. Inshallah, he’s at peace now and free of any physical pain that he suffered from due to illness. Passing away of beloved shammi reminds me the separation of my motherland. (friends 14 th aug is independance day of pakistan)these two events alongwith maestro Rafi’s deparure on 31 jul are engravd on my mind.TUMSA NAHI DEKHA apllies to both Shammi & rafi. Mr.Aditya, We will keep loving your dad for the way he sang “deewana hua badal’and many many other songs. Indeed, he is the Elvis of India. May God let his soul rest in Peace. Kashmir reflects Legend Late Sri. Shammi Kapoorji’s image and it’s a wonderful idea followed with prompt act of immersing his ashes in Dal Lake. And also many many many thanks to Ashaji and Sharmilaji for attending the occasion. Though he is not there physically, he lives immortal in our hearts. Definitely Shammiji’s soul will rest in Peace.